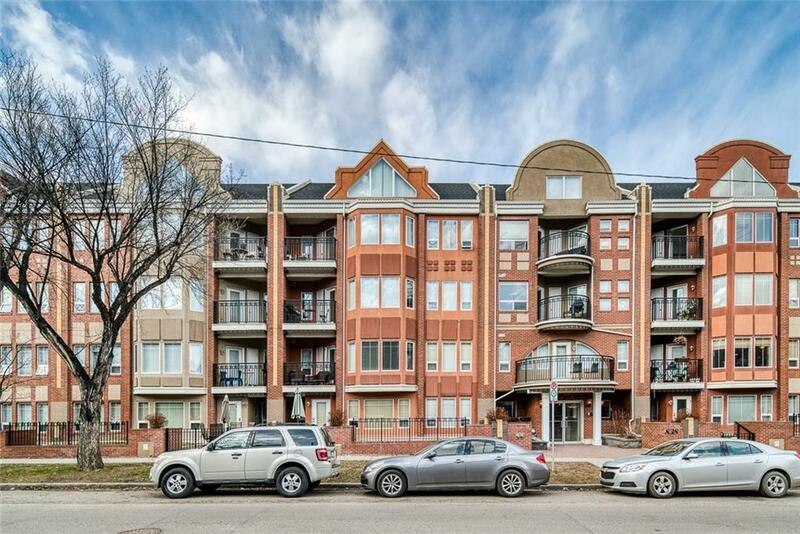 Move to one of the best locations in Calgary just 2 blocks from the heart of 17th Avenue. 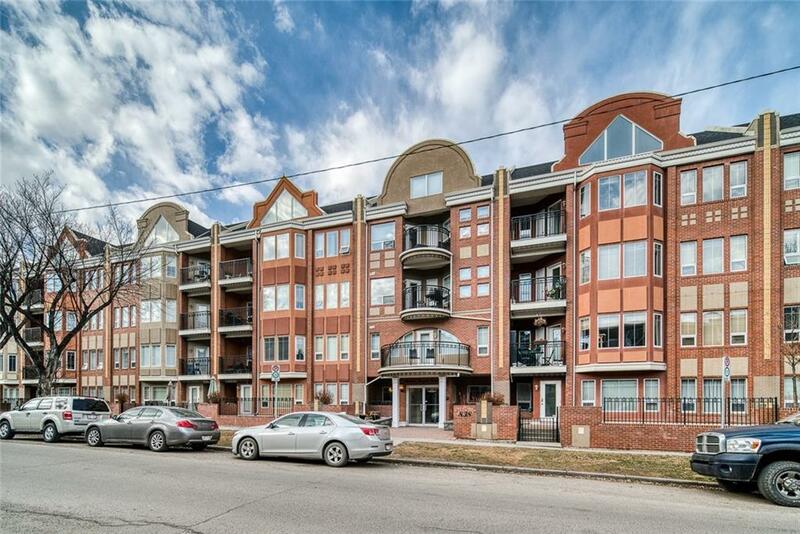 This unit features a floor plan that is sure to impress with plenty of storage, function and living space. One of the most spectacular highlights of this unit is its OVERSIZED PATIO WITH OVER 600 square feet of outdoor living space, great for summer gatherings. Inside you will find a great space for both living and entertaining with an open concept living room and kitchen with convenient half bathroom. Also you will find a separate den, storage room and dual closets. In the master bedroom there are his and her closets as well as a 4 piece ensuite and in suite laundry. 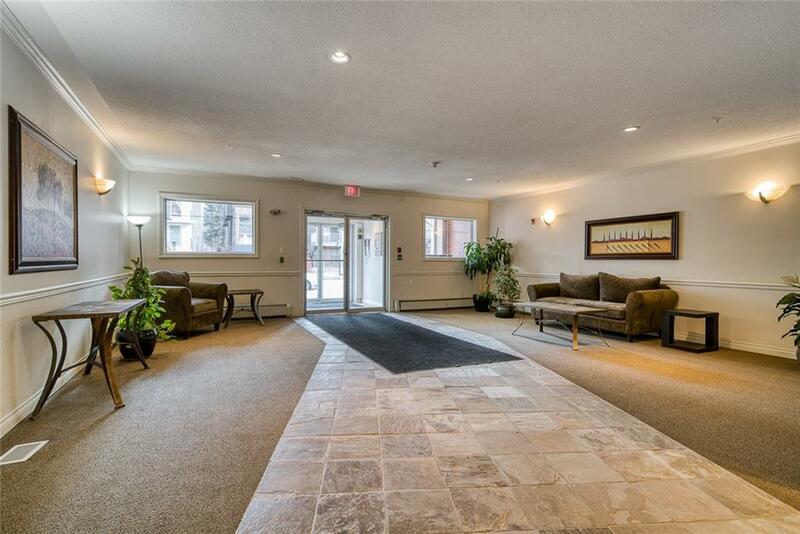 This condo is rounded off with a titled indoor heated parking stall a must have for Calgary's temperate climate. Also please note that while this unit is located on the main floor it is NOT AT GROUND LEVEL. 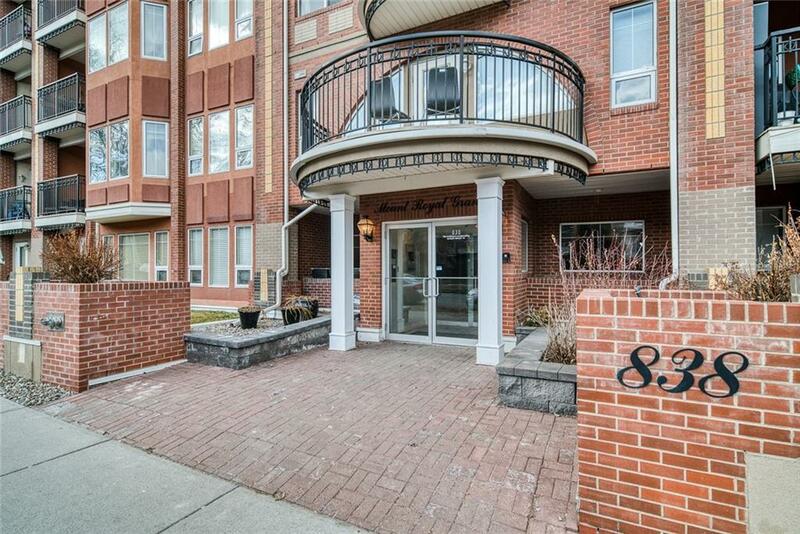 This unit must be seen to be appreciated book your appointment today.